To View in the MCPS website of the Division of Long-range Planning → Roundtables or click on documents below to view. Superintendent’s Recommendation for New Hampshire Estates and Oak View Elementary Schools, October 14, 2013. 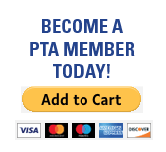 Note to incoming PTA Presidents: The PTA archives are located in the OVES gym closet. Everything is hard copy for the most part. However, most of the 2012-14 PTA President Procedure Book is digital and burned to a disk inside the archive box.